Who needs a HEMI when you got a 454? 11:10 PM - Chevy 70 SS vert quoted gnicholson in post Re: Transporting a car? 11:09 PM - Chevy 70 SS vert quoted Dean in post Re: Transporting a car? 1:04 PM - BillK quoted Chevy 70 SS vert in post Re: Fuel? 11:45 PM - Chevy 70 SS vert quoted 70SSTHUMPER in post Re: Mark IV Blocks? 9:07 PM - Chevy 70 SS vert quoted DUTCH MAX HEADWORK in post Re: Green Wire out of fuse block? 6:29 PM - Chevy 70 SS vert quoted Dean in post Re: Green Wire out of fuse block? 7:48 PM - fr8dog quoted Chevy 70 SS vert in post Re: Mark IV Blocks? 7:56 AM - mr 4 speed quoted Chevy 70 SS vert in post Re: Piston Compression ratio? 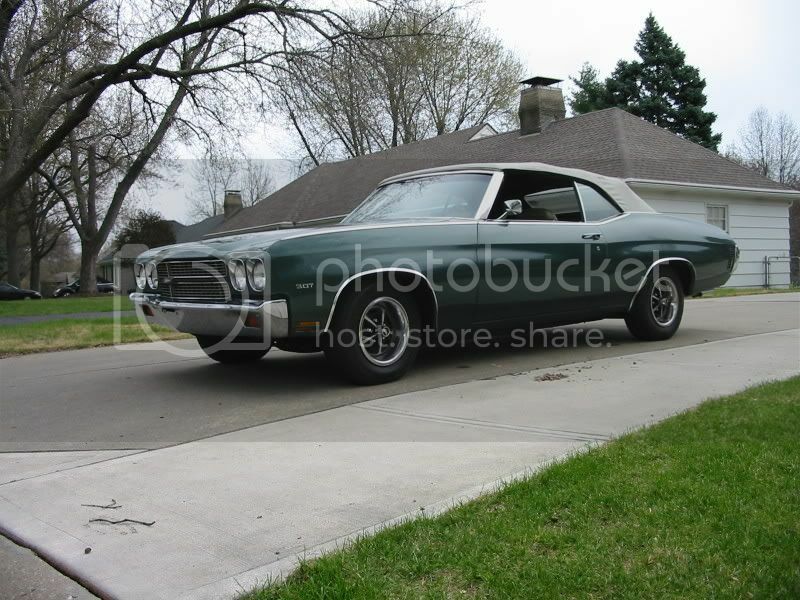 6:37 PM - Chevy 70 SS vert quoted Steve R in post Re: What are these Big Block Parts worth? 2:07 AM - DUTCH MAX HEADWORK quoted Chevy 70 SS vert in post Re: "COWL" induction flapper? 12:33 AM - DUTCH MAX HEADWORK quoted Chevy 70 SS vert in post Re: "COWL" induction flapper? 10:15 PM - DougA quoted Chevy 70 SS vert in post Re: Cowl induction door? 8:45 PM - Chevy 70 SS vert quoted DougA in post Re: Cowl induction door? 11:01 PM - IRISHSS540 quoted Chevy 70 SS vert in post Re: Cowl induction door?